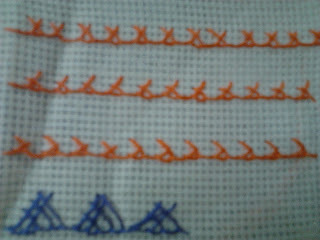 Crossed Buttonhole stitch is new to me. 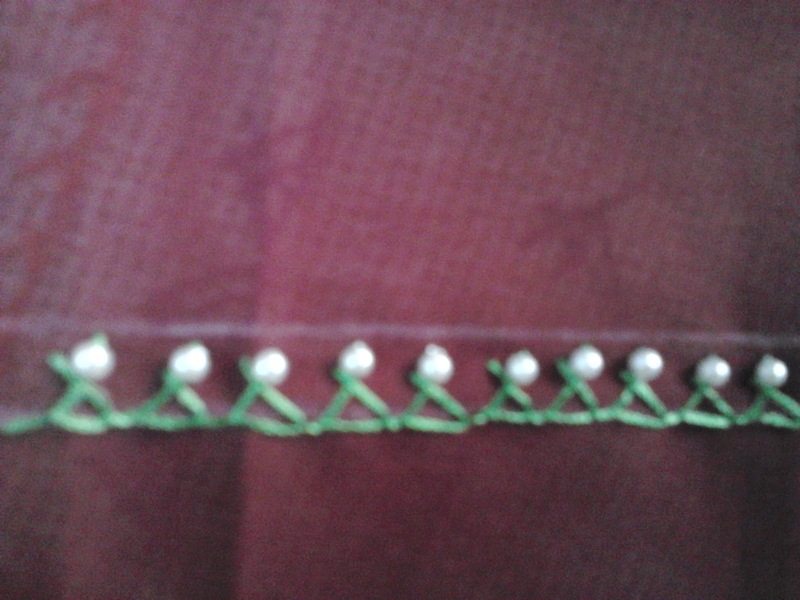 I tried some stitches on matty cloth and then on plain cloth. 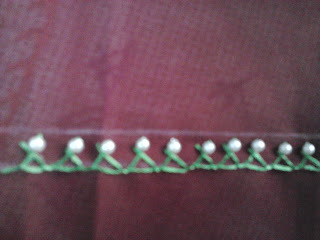 I tried with small beads, it looks pretty and it looks nice for borders. 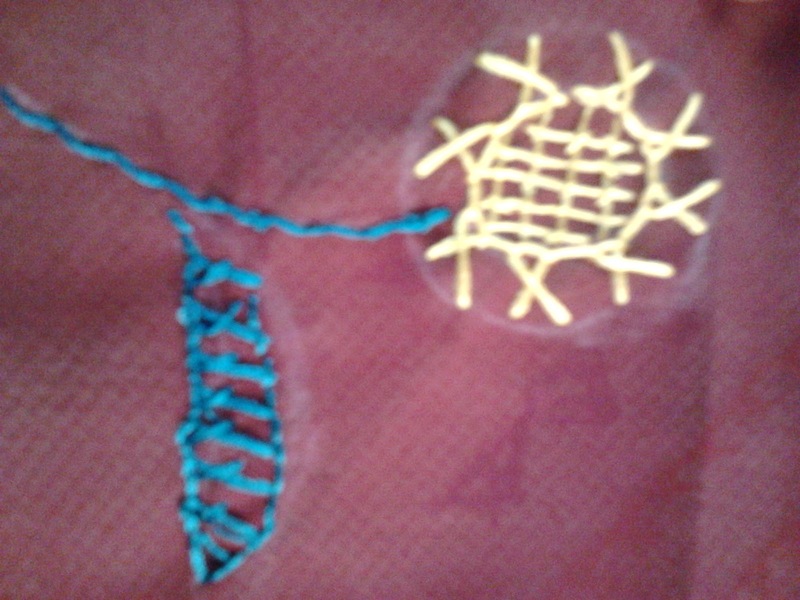 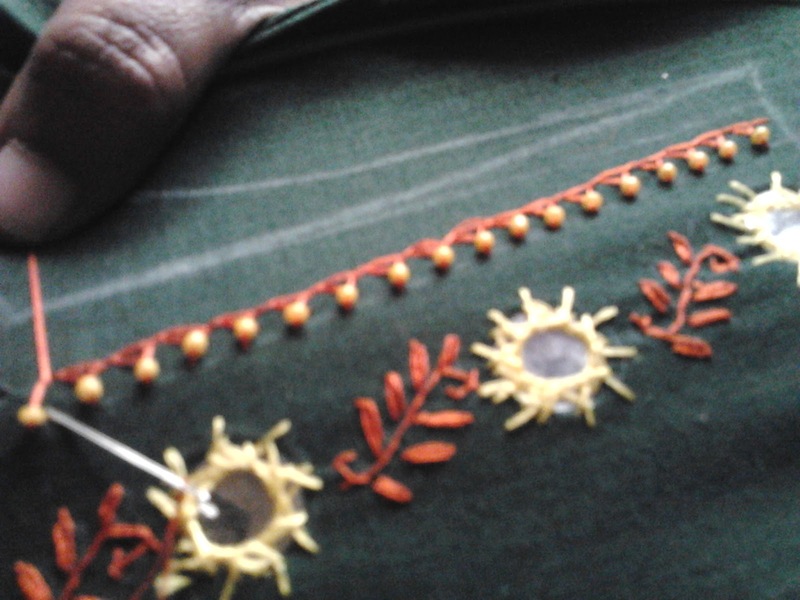 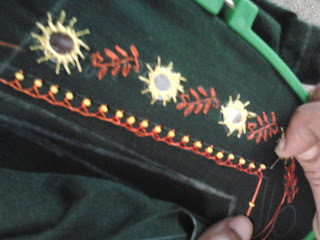 I used this stitch as neckline border on my daughter's salwar top with mirror work embroidery. 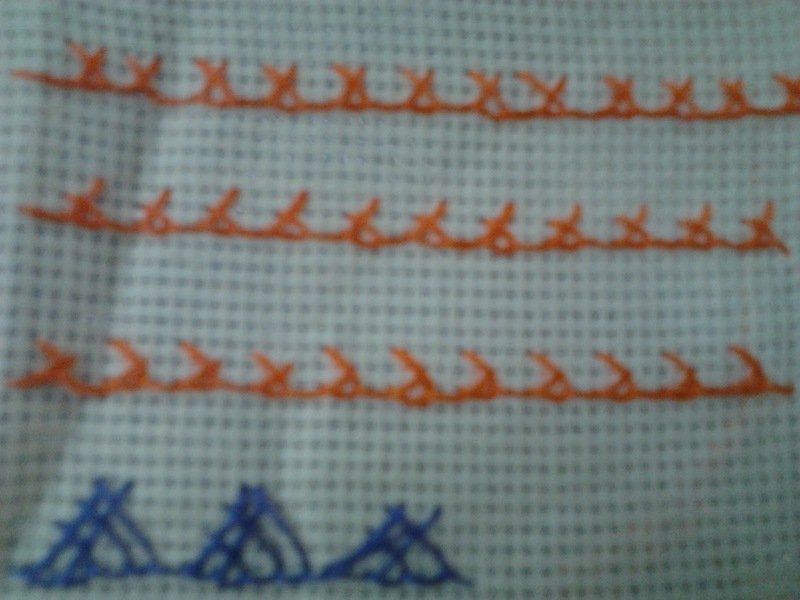 lovely use of this stitch. It looks good for the first time, check your link on sharon's blog, it leads to a page which does not exist.